An original, reliable, practical everyday partner following you at home or work and can be easily placed in your bag or case for when an idea comes to mind and you need to write it down. 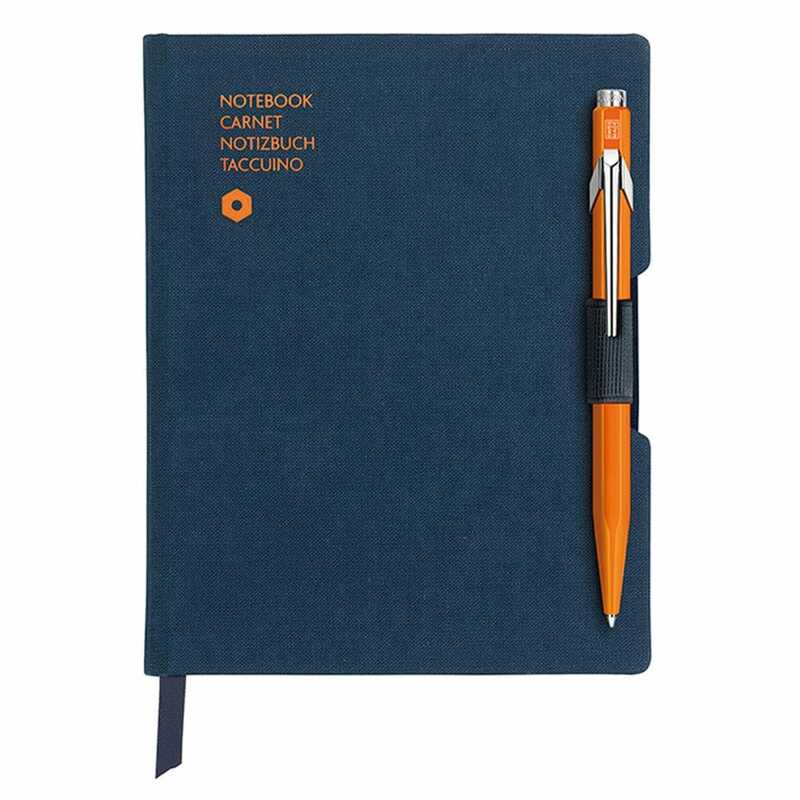 The stylish Orange 849 ballpoint pen is equipped with the Giant Goliath cartridge with medium blue ink and can write up to 600 A4 pages. The 48 page ruled notebook in it's carry case with a special space to hold your 849 ballpoint pen is the perfect gift for everyone.